Artesia High School volleyball coach Alan Williams knew before the season even began that 2014 was to be a year of patience, learning and growth. Overwhelmingly young and inexperienced, the Bulldogs’ tough regular-season slate was a baptism by fire en route to the gamut that is District 4-AAAAA. And although the squad showed marked improvement by season’s end, earning a spot in the Class 5A State Tournament, they were quickly ousted by Albuquerque Academy in the Round of 12. But the positive side of a young team is that it eventually becomes a veteran one, and the ‘Dogs will return to the court in 2015 with a better picture of who they are as athletes and what they need to do to achieve success in the new season. Artesia returns eight members of its varsity this season to a roster Williams says is a solid mix of seniors and sophomores. 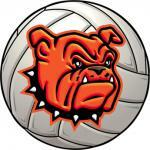 The Bulldogs put in significant work over the summer, attending four tournaments and a camp at Texas Tech University. “We also had a camp here in Artesia, which is the first one we’ve had since I’ve been here,” Williams said. “We did well. As the summer went on, we did even better. We won our last two tournaments of the summer, one in Moriarty and one in Portales. Following the Aug. 28-29 tournament in El Paso, the Bulldogs will host their home opener Sept. 1 against Carlsbad before heading to another challenging invitational in Las Cruces Sept. 4-5. As the team gets its reps in and begins to put the pieces together, they’ll be able to zero in on their long-term goals. Williams said. “It’s certainly going to be difficult with our district. It’s always been a tough one, and Roswell has a lot of girls back from their team last year. They were the district champs, so they’re going to be the team to beat. The Bulldogs will also be theming each of their home outings this season in an effort to encourage fans to turn out and enjoy an evening of volleyball at Bulldog Pit. “We’ll be doing a Retro Night where people can dress up in ’60s stuff, Hawaiian Night, Viva Volleyball Night, and we encourage the crowd to dress up for those nights and come out,” Williams said. “We’ll also be giving away gift cards to the best-dressed people and having contests with prizes, like a limbo contest on Hawaiian Night and twist contest on Retro Night. Can’t make it to the game? twitter.com/ArtesiaSports facebook.com/ArtesiaBulldogSports Woods two strokes behind Gore after third round at Wyndham GREENSBORO, N.C. (AP) — Tiger Woods couldn’t have asked for much more at his first Wyndham Championship. He’s playing with confidence. His scores show it. And now he’ll play a Sunday round that matters. Woods shot a 2-under 68 in the third round Saturday, leaving him two strokes behind leader and longtime friend Jason Gore in a three-way tie for second. Gore had a career-best 62 to reach 15-under 195 at Sedgefield Country Club. Woods said. “There’s a bunch of guys … at 13 (under). There’s a whole slew of guys at 12, 11, 10. Woods — whose streak of 28 holes without a bogey ended on the 18th when his 6-foot par putt lipped out — reeled off 10 straight pars before briefly moving within one stroke of Gore with a birdie on the par-3 16th. “I felt very steady from the word ‘go,'” Woods said. Blixt and Scott Brown joined Woods at 13 under. Blixt shot a career-best 62, and Brown had a 66. Former Wyndham winners Webb Simpson (64) and Brandt Snedeker (67) were three strokes back along with Paul Casey (66), Jim Herman (66) and Cameron Percy (67). Woods was poised to make a run at his first win in more than two years — one that would earn him enough points to clinch a spot in the FedEx Cup playoffs opener next week in New Jersey. Depending on the math, a solo second-place finish also might be enough for Woods, who’s at No. He also moved one step closer to his 80th PGA Tour victory — and first since the 2013 WGCBridgestone Invitational. Playing the Wyndham for the first time in an effort to hone his game and earn a spot in The Barclays, Woods is attempting to win a tournament in his first try for the first time since 1999 — when he won the WGC-Cadillac Championship in Spain. For him, this day was about consistently making pars — 15 in all, including a remarkable save on the 10th with a 24-foot putt. His only birdie on the back nine was an important one. He plopped his tee shot on 16 about 12 feet from the hole and rolled in the putt to move to 14 under before giving that stroke back on his final hole. That bogey prevented a final Sunday pairing with Gore — who was instead paired with Blixt. Gore says he’s known Woods “since we’ve been 12 years old” as kids in California. Gore started the round six strokes off the lead. He took over the top spot at 14 under with a birdie on the 15th, then closed with another on the 18th — hitting his second shot to 7 to set up his ninth birdie of the day. At No. 166 on the points list, Gore put himself in position for his second career win on tour and his first since the 84 Lumber Classic in 2005. He has just 15 top-10 finishes in the past decade. His big round came in relative anonymity because once again, an overflow crowd followed Woods’ every move. Woods began the day sharing the lead with rookie Tom Hoge at 11 under, but claimed sole possession for the first time with a birdie on the first hole. Blixt joined him at 12 under moments later, then jumped ahead with a birdie on the 17th. Woods caught him by rolling in a 5- foot birdie putt on the fifth before Gore shot past them both. Still, Blixt has given himself a shot to make the playoffs and earn his tour card for next year. He’s at No. 135 on the points list and No. 147 on the money list, and said he’d be “very pleased if I secured my job. Erik Compton, a two-time heart transplant recipient who shared the first-round lead, withdrew before his third round with an injured left ankle but says he’s hopeful of playing in The Barclays. Had he pulled out a day earlier, the cut line would have moved to 2 under and 19 more players — including bubble players Michael Putnam (No. 134) and Tom Gillis (No. 138) would still be around this weekend.